THE main message to world leaders from regional businesses is that protectionism is bad for business, according to Apec Business Advisory Council (Abac) chairman David Toua. He said the current state of trade was turbulent and that spillovers from tensions between large economies would also hurt developing economies. He said this was the main outcome from the Abac 3 meeting in Malaysia last month where he was the first Papua New Guinean chair of the regional body. 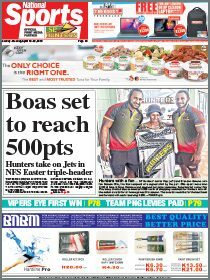 “We come together to consolidate all our discussions in terms of shaping the recommendations that we will make to the leaders when they come to PNG in that period from Non 12-18,” Toua said. “We did a lot of work through the year and we now have our draft recommendations in place with respect to a number of things. “The whole idea of Apec is trade liberalisation and to trade freely. “There is a very strong message from Abac this year: We don’t like protectionism. “That is a conversation topic between some of the larger economies and Abac is quite strongly saying that this is bad for businesses. “We are living in turbulent times. “We must be clear in business messages to leaders that protectionism is not good for business. “When the big people fight, the little people get hurt. “It’s about striving to have more jobs and more inclusiveness in all economies in the region. 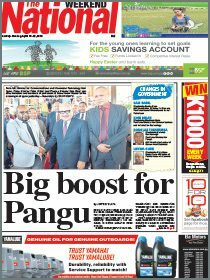 Abac PNG member Wayne Golding said their activity was made possible through the support of corporate sponsors from both international and domestic businesses, complementing PNG Government support.